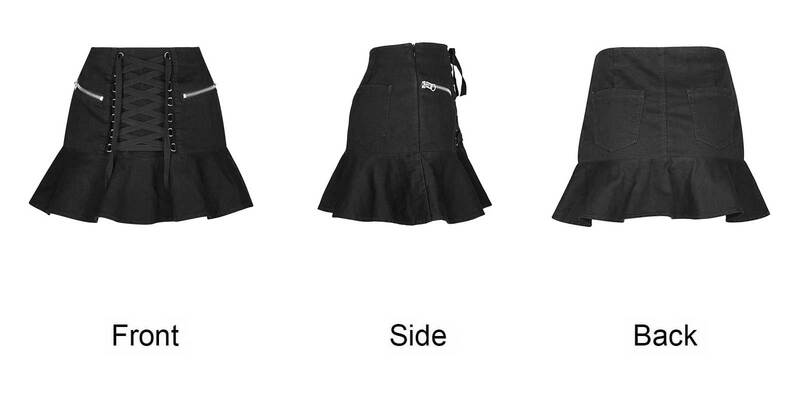 Naughty mini skirt by Punk Rave. Black cotton stretch fabric. Broad front lacing and side zip pockets. Playful valance hem. 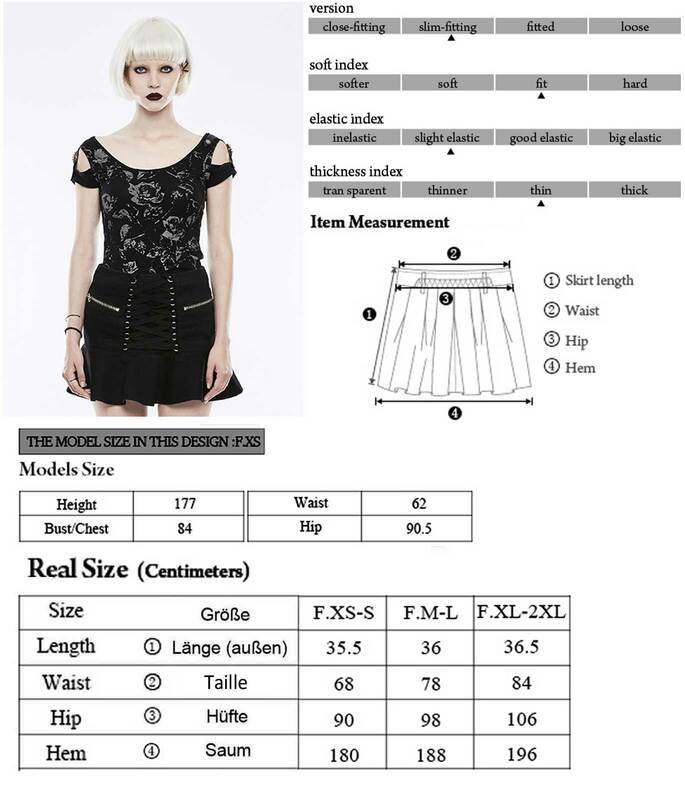 Naughty mini skirt by Punk Rave. Black cotton stretch fabric. Broad front lacing and side zip pockets. Playful valance hem. Back with two more pockets. Length: ca. 36 cm / 14 in.